There has never been a more important time to focus on and fight for education in the United States. With the Trump-appointed Betsy DeVos as the Secretary of Education, who has most recently decided to overturn the Obama-era policy on sexual assault, making it harder for victims to come forward, thankfully we don’t have to rely on her agenda to see positive and fruitful educational outcomes across the country. It is not just government officials that set the standards in the US, there are a number of private citizens and activists who are using their platforms to make an impact on the lives of everyday people. 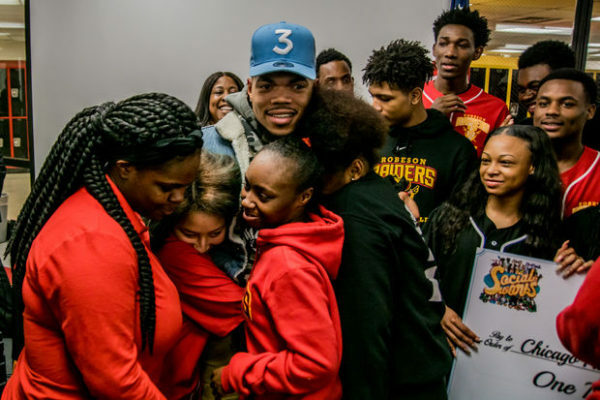 Grammy Award-winning artist Chance the Rapper, aka Chancellor Johnathan Bennett, has announced he is launching an inaugural awards ceremony to honor teachers, educators, parents and students called the Twilight Awards. The announcement came during a summit for his charity called SocialWorks, a summit which was inspired by the iconic Apple Town Hall events where the company announces their latest technology and products. During the most recent summit, the rapper also pledged to give a $2.2 million donation to public schools in Chicago where he hails from. According to The Huffington Post, the Twilight Awards will take place in June of 2018 and will be hosted by comedian and late night talk show host James Corden. 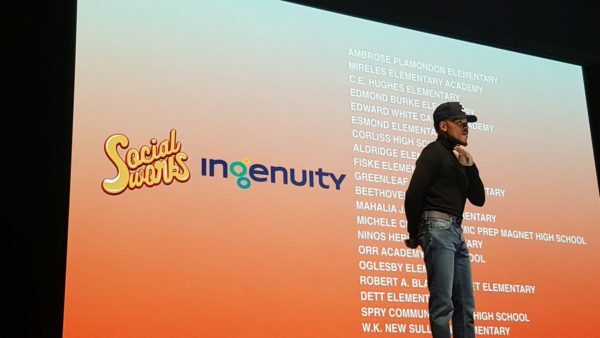 During the SocialWorks Summit, Chance expressed his passion for public education and the reason behind his generous donation. “Every contribution … brings this city and this nation closer to providing a well-rounded quality education for each and every child. Funding quality education for public [school] students is the most important investment a community can make,” he said. The announcement was praised by a reporter at the Chicago Tribune, who also hinted that Chance the Rapper would make a better Secretary of Education than the aforementioned Betsy DeVos (we agree!). More importantly, Heidi Stevens explained why the focus on uplifting and celebrating the hard work of educators and students in Chicago will be key in pushing back against negative narratives about the public education system perpetuated by local politicians. “If you’ve never stepped foot inside a Chicago public school, you may be tempted to believe the worst. Gov. Bruce Rauner called them “crumbling prisons.” He said half the teachers are “virtually illiterate.” He couldn’t be more wrong. I step foot in a lot of Chicago public schools — as a CPS parent and as a journalist. They’re filled with people whose energy and dedication and flat-out brilliance take your breath away,” she wrote. Those being awarded will be chosen based on their leadership skills, according to the rapper’s announcement. Education has become his topic of interest especially in Chicago, but he is taking his advocacy across the country also. 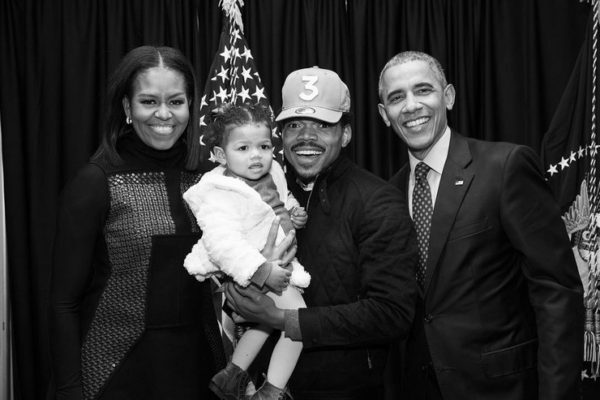 At the recent Chicago-based Bud Billiken Parade and Picnic, Chance and his SocialWorks team distributed 30,000 backpacks filled with school supplies to students before he took the stage alongside Future, Jeremih, and a pre-recorded video of Barack Obama. At the BET awards in June, he was honored by former FLOTUS Michelle Obama with the Humanitarian Award. His other social advocacy works have included donating outerwear to the homeless and leading a march to voting polls. But his work to improve and highlight the work of educators and public schools is especially important right now. The Education Department under Betsy DeVos, who is known to be an advocate for “school choice”, meaning diverting money away from the public system into more charter schools, can only mean bad news for youth in low-income areas where funding is already scarce. Although she has never been a teacher or educator herself, her track record of pushing her school choice agenda has actually shown disastrous results in her home state of Michigan. However studies have shown an increase in funding for public schools, especially those in under-served areas, have been shown to lead to positive results for students, which can also have a long-term effect on job rates and decreasing the likelihood of poverty. The Twilight Awards can only lead to more advocacy of the public school system and hopefully inspire many other everyday people to champion the work educators, teachers, parents and students are doing to be leaders in their community. 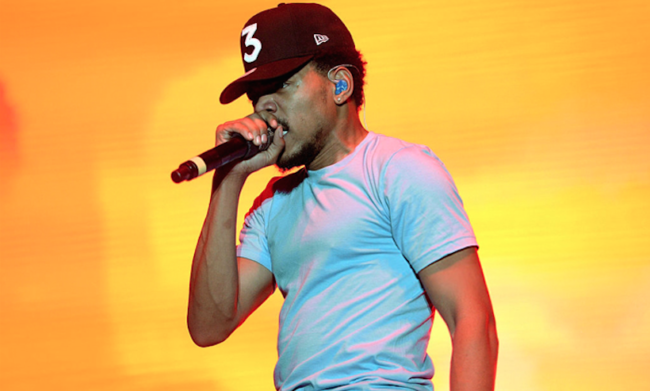 Kudos to Chance the Rapper for using his platform for a very worthy cause. You can hear more about his announcement in the video below, including how his own daughter was a motivating factor for advocating for education.